Come in to see the extensive selection of plants that we have available for your home and herb and vegetable garden, big or small. 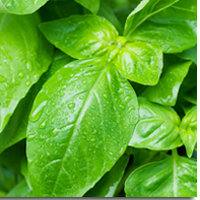 Plan your herb garden by grouping herbs according to light, irrigation, and soil requirements. Most herbs enjoy full sun, but a few tolerate shade. Herbs can be classified as either annual, biennial, or perennial. Be aware of the growth habits of the plants before you purchase them. Some herbs, such as borage, anise, caraway, chervil, coriander, cumin, dill, and fennel, should be direct-seeded, because they grow easily from seed or do not transplant well. Other herbs, such as mints, oregano, rosemary, thyme, and tarragon, should be purchased as plants and transplanted or propagated by cuttings to ensure production of the desired plant (do not come true from seeds).